‘some say that in ancient days there was a city where the lake is now, before an earthquake threw up the hills and filled the hollow with water so that the city was submerged. Even now, the peasants say, when the surface of the lake is smooth one may see from a boat, far down and down again, the drowned city, its walls and castle, houses and church, perfect and intact, waiting for the Day of Resurrection. 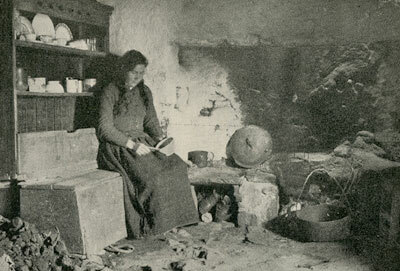 The Farm by Lough Gur – Mary Carberry, 1937.